The Redwood is parked for a few days and we’re taking a break from our RV lifestyle, staying with friends Tom & Maria, who reside in Plymouth, about an hour South of Boston. 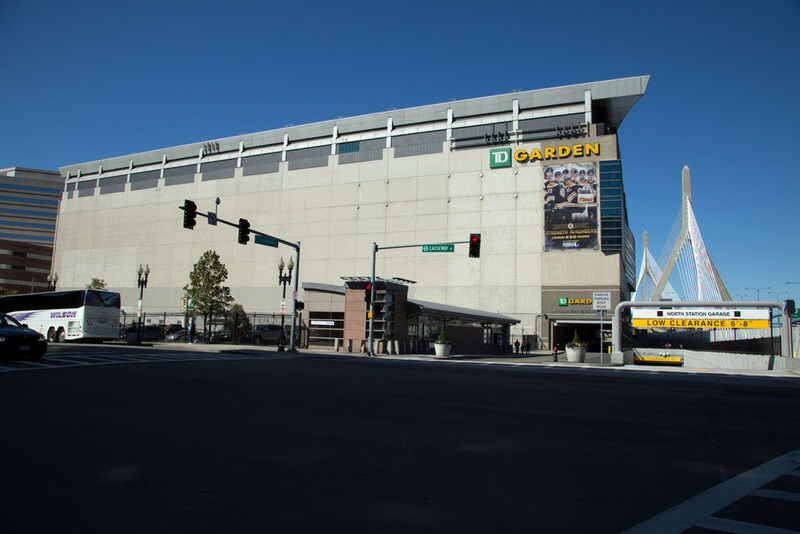 First up on the tourist agenda was Boston, which should be interesting, as our kids say we have quite a goons on ice hockey rivalry with Boston, and the Tea Party was only about 240 years ago. Having no prior knowledge of Boston, we were impressed, as it really is a beautiful city, at least the downtown portion that we visited. Who would have thought Boston and Vancouver would have some type of hockey rivalry as the 2 cities are only 3,500 miles apart, and we know, since we drove every mile. Guess we shouldn’t bring our truck with BC plates into town, fortunately Tom drove. Andy is very partial to a good cuppa tea and even after 35 years in Canada, still has a definite Brit accent, so we can only hope memories have faded over the 240 years since the locals dumped the tea into the harbour. 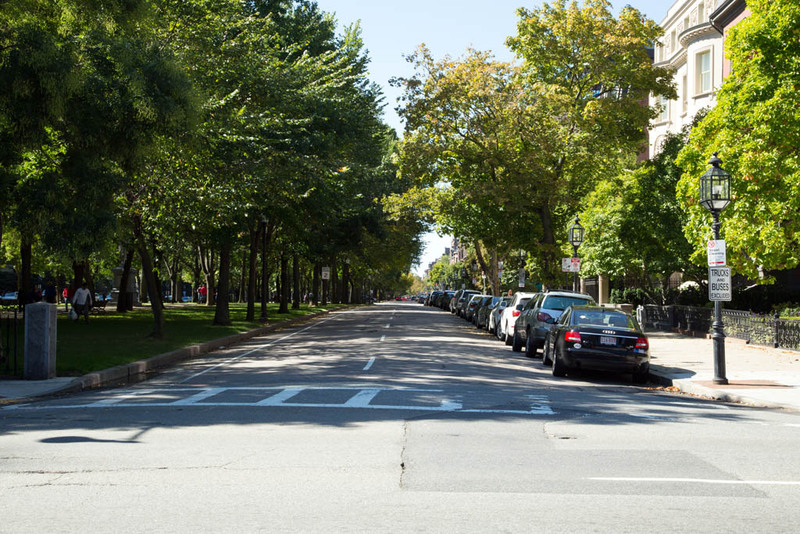 We parked in the underground parking lot in the middle of downtown Boston’s garden oasis, known as Boston Common. Comprising 50 acres of ponds and treed grassland, it is the oldest public park in the United States, dating from 1634, when it was initially used for grazing cows. The present use as a park commenced about 1830. The “Swan Boats” had already closed for the season, so the only option was to meander through the park enjoying the sights on a beautiful warm and sunny Fall day. 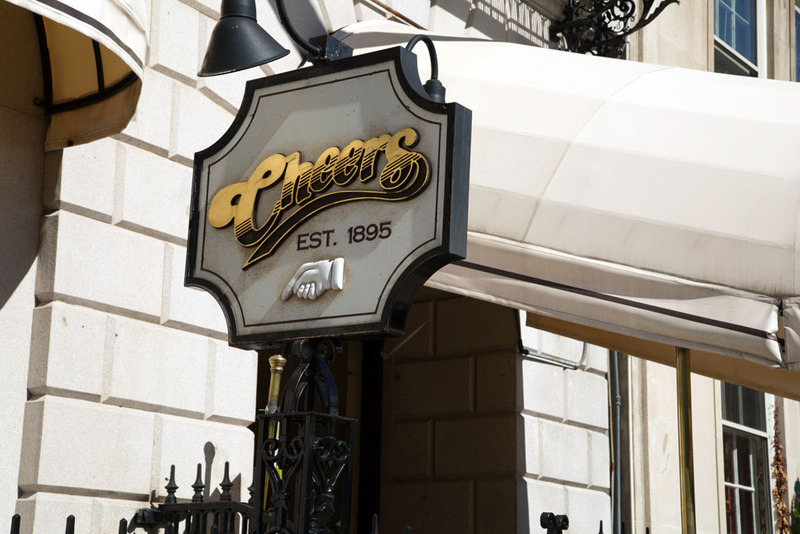 Next on the agenda, is “Cheers”, of TV program fame, which is located at the edge of Boston Common on Beacon Street. This is where the program was filmed and it is an actual pub – Bull and Finch Pub. The place is definitely a tourist trap and was mobbed, with a queue outside the door. The original pub is located downstairs in the basement, and at the door you are met by a staff member who determines if you want a drink, meal or just to look. The first 2 options require standing in the queue, so we decided to only play tourist. They have a small gift shop in the basement and a functioning bar, with food service. Upstairs is the actual set where the TV program was filmed and it also operates as a functioning bar, with customers standing all around at least 3 deep. They also had a larger giftshop on this level. Looking at the sea of humanity, we decided we didn’t require either refreshments or nourishment, and subsequent review of Tripadvisor suggested this was a good decision. Next on the agenda was a visit to the Old North Church and in deference to Judi’s back, decided to use the “Tube”, or Boston underground rather than walk the 2 miles. From Cheers we walked along 1 side of Boston Common to the closest Tube station. The train took us to the “North End” of downtown Boston at the Washington Street bridge over the River Charles and the Boston Gardens, home of the Canucks arch rivals Boston Bruins. A short walk around the water front and up hill brought us to the Old North Church. 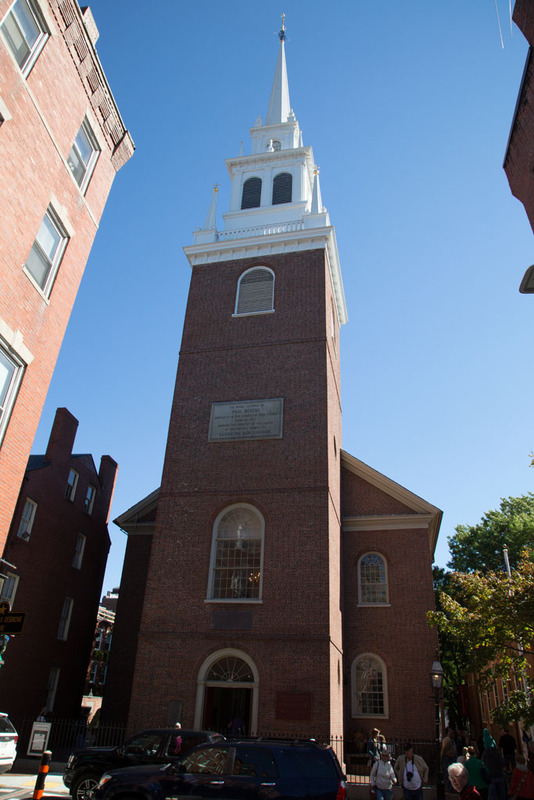 The Old North Church, or Christ Church in the City of Boston is reputed to be the location for the famous signal, “One if by land, two if by sea”. In April 1775, Paul Revere requested 2 lanterns be displayed from the steeple to warn of the British troops advancing by sea, prior to the Battles of Lexington and Concord. Unfortunately, no access is provided to the steeple, as Andy was game for the hike to the top and the no doubt spectacular view it would afford of the city. The North End of Boston is also Little Italy, so we walked around a few of the streets looking for a restaurant to have some lunch. Walking along Hanover Street we saw Panza, a small restaurant that was open and busy. Being 2 good qualities for a restaurant we decided to give it a try, and we sure weren’t disappointed. We all had a different dish and all were extremely happy with our selections. Suitably nourished we decided to head back to the Tube station beside the Boston Gardens, but with no maps, where is that darn station. Surely, it can’t be too difficult to find as we had 2 Captains, both with more than a little experience navigating, but at 35,000 feet and on water – Tom is an airline pilot and Andy a retired Mariner. Ha Ha! roads and signposts didn’t confuse these intrepid navigators, as we successfully found the Tube station without a single wrong turn. After a short hop on the Tube we arrived at the edge of Government Centre, immediately passing the site of the Boston Massacre, where in 1770 British troops killed 5 civilians and wounded 6 others. From there we meandered through the Franeuil Hall Marketplace enroute to the Aquarium. What better way to see a city in a short period of time than the Ho-Ho bus, nope we elected to try a “Duck Tour“. None of us had previously tried one of the floating buses that drive around the city and then launch into the river to conclude the tour with a cruise. Having purchased tickets we were advised the meeting point was by the Aquarium, or more specifically, as we found out, around the side and almost at the rear of the Aquarium. Having seen a couple of tours during our walk around we noted each of the drivers in a themed costume, well we got the skydiver, who led you to believe he landed on one, and was working off the damage he caused. A little cheesy, but he was informative and a good laugh. The Duck Tour was enjoyable and informative providing lots of information on the history of Boston, which really is a rather pleasant city. 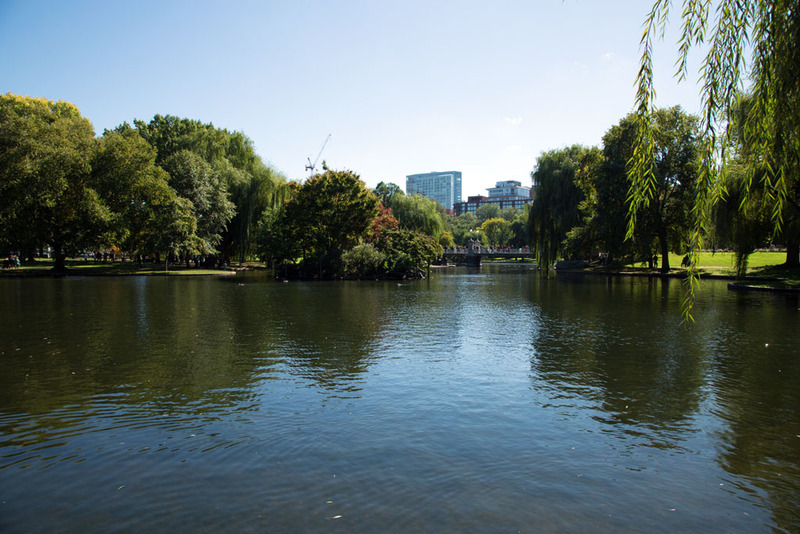 We definitely would like to return and explore it a tad more thoroughly, which will definitely include a day cruise up the Charles River. As this concluded our day of playing tourist in Boston we headed back to the Boston Common parking lot to find the car for our drive back to Plymouth. Many thanks to our gracious hosts Tom and Maria for a fabulous day. 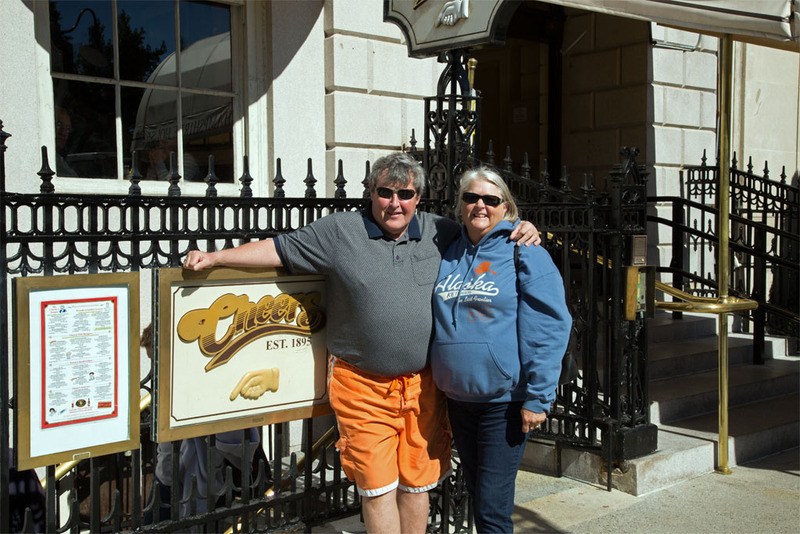 This entry was posted in Massachusetts and tagged Boston, Boston Common, Boston Duck Tours, Cheers, Old North Church, Panza Restaurant by oriana77. Bookmark the permalink. You’ll have to come back! You hit plenty of highlights (thank you Duck Tour!) 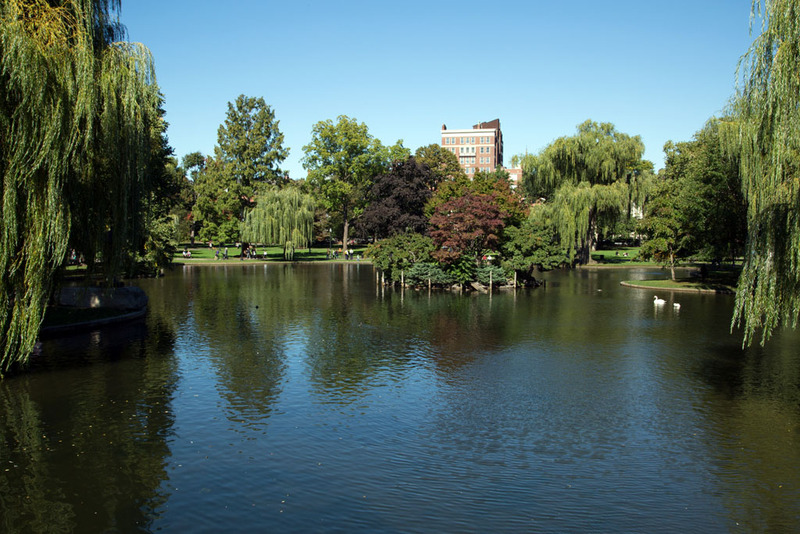 but come back in the spring time when the Garden is in full bloom and all of Boston is happy to be outside. Thanks for the comment and advice. 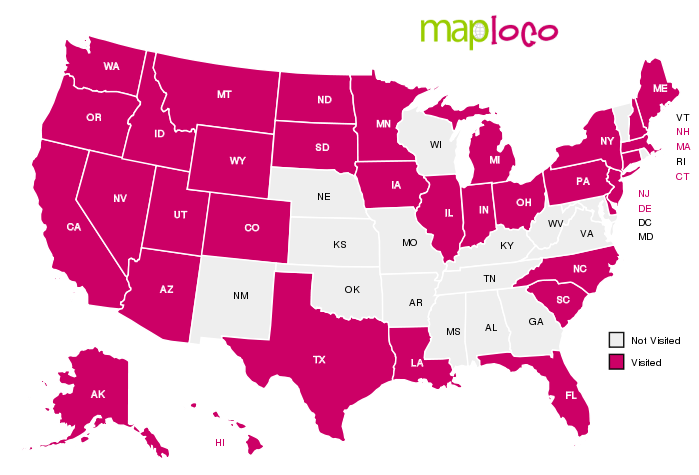 We will definitely return and probably late spring, as we would depart after spending the winter in California and head back to Atlantic Canada via the East Coast. We just don’t know which year it will be.